This is a review of the Monthly Subscription, $25 a month, box. Shipping: the US for free and International, their FAQ page says that there is an additional charge outside of the U.S.
For the second month in a row Gentleman’s Box appears to have picked a famous murderer as their central inspiration, however, they are actually honoring the most recent gentleman to play him. A choice I can get behind! As usual, there is a very high-quality booklet with full-color images and descriptions of all the items. It also includes an introductory letter from a member of the staff at Gentleman’s Box, this month it’s Head of Member Experience Kylie Cupples, and some general tips for being a well-kept gentleman. There’s also an offer for a Scotch Porter subscription for grooming products, the first month of which will only be $5.95. A black cotton tie, not available on the URBN Haberdash website, with a flat non-shiny texture. Ideal for appearing muted and not standing out at somber events like funerals. High quality, three shape polka dot jet black socks that will surely go with any outfit and shoes. All Meyash socks appear to be made of 82% cotton, 15% Polyamide and 3% Elastane which feels nice and soft and very elastic. They feel like they would stay pulled up reliably. In the shape of a satin white rose this pin looks sophisticated but not garish like it would be perfectly in place at the fanciest of white tie events. Black leather and polished stainless steel is a combination that is impossible to improve upon. This is a classic design that will never go out of style! The back of the watch shows no information about water resistance, but the front has a functioning date window and a bright clear face that’s easy to read at a glance. A 10ml sample of strongly vanilla-scented beard and skin moisturizing oil. Comes in a convenient dropper bottle for easy application. I wasn’t able to test it on a beard as I can’t grow one, but it does a good job of keeping skin feeling supple and smelling like melted ice cream! Verdict: Everything in this box can be added to any sartorial collection. Each piece feels simply classic, easily worn together or as additions to any other outfit. The flat blacks and bright whites will always go with anything and look crisp and elegant. Even the smell of the hair and skin oil is classic! Adding everything up, the complete value of this box is $122, so as always, great value for only $25 a month. With 5 items included that’s only $5 per item on average! All orders placed on the last day of the month by 11:59 PM Pacific Time will start you with the current month’s box. Coupon – Use coupon code MSA5 to save $5 off of your first box! Value Breakdown: This box costs $25.00 + free shipping, which means that each of the 5 items in the box has an average cost of $5. 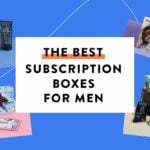 Check out all our Gentleman’s Box reviews and the Men’s Subscription Box Directory! What did you think about the November 2018 Gentleman’s Box?